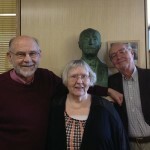 Gustavus Adolphus College has announced the creation of the Martin, Robinson, and Simpson Endowed Professor of Psychological Science to honor three retiring professors who combined, have given more than 130 years of service to the College. 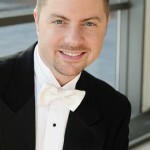 Brandon Dean, Assistant Professor of Music and Conductor of the Choir of Christ Chapel and Lucia Singers at Gustavus Adolphus College, received the 2014 Swenson-Bunn Memorial Award for Teaching Excellence at the College’s Honors Day convocation on Saturday, May 3. 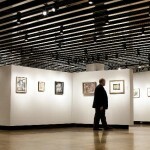 The award, which is nominated and selected by students, has been presented annually since 1990. 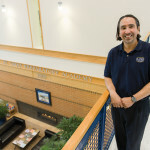 Jon Gutierrez '82 is executive director of and the driving force behind Stillwater's St. Croix Preparatory Academy, one of the most successful charter schools in Minnesota. 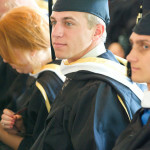 Gutierrez majored in accounting at Gustavus and came to education in a round-about way. 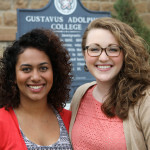 Gustavus Adolphus College seniors Victoria Clark and Valentina Muraleedharan have been chosen by a committee of faculty, staff, and students to give a joint address at the College’s commencement ceremony on Sunday, June 1 at Hollingsworth field. 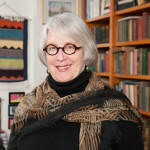 Professor Jill Locke, who teaches political theory courses in the Political Science department and directs the Gender, Women, and Sexuality Studies program, will spend the 2014-15 academic year as a member of the Institute for Advanced Study in Princeton, NJ. She will conduct research on children’s political activism, looking at the case of the U.S. Civil Rights Movement. 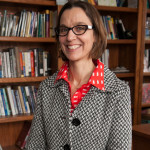 Gustavus Adolphus College Professor of English Elizabeth Baer has been invited to speak at the Smithsonian National Museum of the American Indian in New York City on May 22. The invitation to speak is in conjunction with the display of the exhibit “Commemorating Controversy: the Dakota-U.S. War of 1862” which was created by a 2012 January Term class co-taught by Baer. The Star Tribune recently recognized the Hillstrom Museum of Art at Gustavus Adolphus College as the “best unexpected place to find great art” in its recently released Best of Minnesota 2014 special section. The Best of Minnesota listings were thoughtfully selected by the 265 Star Tribune journalists who comprise Minnesota’s largest newsroom. 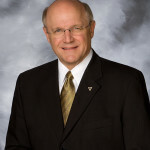 Gustavus President Jack R. Ohle received the Charles W.L. Foreman Award at The Council of Independent Colleges (CIC) 2014 State Funds Annual Conference on Monday, April 28 in Chicago, Ill. The Foreman Award recognizes a college president or corporate trustee who has demonstrated an outstanding record of service that truly distinguishes the recipient from his or her peers in support of the mission and work of the State Funds. Thirty-nine seniors and 11 juniors at Gustavus Adolphus College were inducted into Phi Beta Kappa, the nation’s oldest and most prestigious academic honor society, on Thursday, May 1. Students who have excelled in the study of liberal arts are elected each year by a faculty committee of local chapter members. Election criteria include a record of high achievement in liberal arts courses and majors, competency in math and foreign language, and demonstration of a love of learning as evidenced by the depth and breadth of a student’s college career.